Catch up on the newly-split EU and American regions. For the first part of our guide covering the CN and SEA teams of the Kiev Major, click here. The regional qualifiers for Valve’s Dota 2 Majors have lately been a source of controversy, especially in Europe, and the developers have certainly taken notice. Some massive changes have been made for the regions that we’ll be looking at today for the Kiev Major qualifiers. Teams in Europe have argued that past qualifiers have been too cutthroat, and they’ve since advocated for separate qualifiers for EU East teams. Meanwhile, South American players often find it difficult to connect to their North American opponents, much less fight through them for a spot at the LAN event. These two continents’ issues clashed when teams in Europe switched to the Americas qualifiers for a better shot (with limited success) before the Boston Major. Valve approved the tactic, but only because there were no rules at the time stating that it couldn’t be done. Valve likely heard these regions’ cries for help and have added two new qualifier spots, splitting EU East from EU West and South America from North America. In addition to solving some regional congestion issues, this move will put a new spotlight on regions that were previously lumped in with their neighbors. They have also implemented a three out of five rule, where three of the five players must reside in their qualifying region or else be disqualified. This may cause some confusion for multinational teams, but open qualifier admins at FACEIT plus Valve will likely step in to help with decisions. So how will this affect the Kiev Major’s early rounds? Who will we be seeing in the regional qualifiers’ invites, and who will be invited to Ukraine without needing to suffer the regional struggle? Here, we’ll look at the remaining regions’ squads, with consideration given to their performances at this past weekend’s Starladder. Considered a hub for both LAN events and esports organizations, the Dota 2 scene in Europe has been especially tightly-contested the last few years. In previous years, it was considered a 'bloodbath' due to the mix of Eastern and Western European teams. Now, due to the split, teams have a bit more room to breathe—which isn’t saying much due to the high number of qualified teams in the region. Of course, there are some teams that stand out among the rest. The shoo-in for this event’s direct invite is OG, the winners of the Boston Major, who have continued to show potential in the time since the Major and 7.00’s subsequent release. Despite their loss at Starladder to second place winners VG.J, they had a solid run at the event. The team’s experienced lineup and effective, smart captaining have make the team a force to be reckoned with. The bigger question on everyone’s minds is who will be invited into the regional qualifiers. Ad Finem, the Greek underdog who caused a fan movement in Boston, may be invited out of respect, but the question is their ability to qualify. Their performance has been relatively weak outside of the Major itself, but Valve may be willing to give them another shot, as there will probably be plenty of room in the regionals for them plus others. Team Liquid will absolutely be a stronger contender here. Despite losing to Ad Finem in the Boston Major qualifiers, they kept working and, after one player swap, managed to qualify for DAC. Their Starladder victory will certainly be a golden frame on either a certain regional invite or a second direct invite, depending on Valve’s mood. 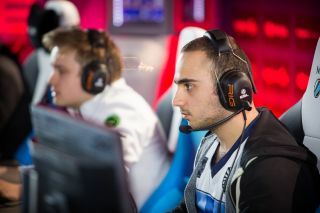 A new player-run squad called B)ears gave Liquid a run for its money in the DAC qualifiers. The mixed-nationality team hasn’t had any other chance to shine yet, but Valve values the quality of a team’s players as much as results, and the mix of veterans and fresh blood may make them a solid choice for a chance to fight their neighbors. Although Team Secret has fallen out of favor due to scandal over its core players, they showed a bit of potential at Starladder and may be considered for an invite. Also fighting for a spot: Cloud9, formerly Imperial, who nearly won WESG but has been making the tier 2 rounds; Alliance, who make frequent appearances in tournaments with few tangible results; and ProDota, who have been consistently playing at the top of tier 2 tournaments. It’s often difficult to talk about EUE teams without talking about the EU scene they used to be a part of. Still, the EUE teams have historically performed well internationally, so there’s quite a bit to look at for their region’s qualifiers. Virtus.Pro is the most stable presence in the scene. Despite their 5th-8th run at the Boston Major and lack of DAC qualification, they’ve shown up and performed well at a number of large and tier 2 tournaments with a solid roster. At the very least, a consistent roster seems to be an important factor for Valve. Team Empire has made several major changes to their roster, but they managed to qualify for DAC through their EUE qualifiers. Working off this alone, they may snag a regional invite, but their hit-and-miss results may also make Valve unsure. There are several other teams of note, including Effect, which revamped its roster and took second in the DAC qualifiers, and Vega Squadron, which has been training in the tier 2 circuit. Recently, the latter took down Team Empire in a tier 2 tournament. It’s unknown how many slots EUE will be given, though, as it’s an offshoot of the main EU qualifiers. North America has always been a contentious matter in Dota 2, but strong showings by a select few teams have garnered a degree of international respect. Namely, Evil Geniuses will likely receive a direct invite after a notable Boston run and a win in China immediately after the 7.00 patch. Digital Chaos is still powerful for their region, having won ESL One Genting. However, they took last in Starladder, and they were taken down by NP in the DAC qualifiers, so they will likely be less preferred over Evil Geniuses. NP may be a sure choice for regionals as well. They have presence and star power in the scene, perhaps without the results of DC and EG but certainly with enough strength to put up a fight. They were present at the Boston Major’s main event, and they qualified for DAC, so a regional invite to secure their Kiev spot may be in order. Regional upsetters WanteD are centered around EG owner and ex-captain PPD, with a mix of nationalities playing. They registered in time for regional qualifier consideration and Valve's emphasis on players over team plus the limited nature of American qualifiers in the past are all factors in their favour. With that in mind, WanteD may be able to grab a regional invite. After all, if PPD knows anything, it’s how to play the metagame at every level. There's a question over whether NA mainstay CompLexity will be able to find a full roster in time for invites, as one player left recently (though it seems they’ve found a strong temporary replacement). There is also the newly-formed Onyx, spearheaded by several notable NA players in a similar manner to NP. Depending on Valve’s mood, both CoL and Onyx may need to show their worth in the open qualifiers due to a lack of solid results. Other than the above, a number of tier 2 teams are present to fill in the regional qualifier’s gaps, such as FDL, Freedom and Doo Wop. There’s also, of course, the classic personality/player wild card team and extreme crowd-pleasers Vegetables Esports Club. They could re-emerge for a shot at the prize. This means that there’ll be a massive fight for the open qualifiers spot, and new players or rusty vets can brush up and face more stable teams that have fought against more experienced squads. The South American Dota 2 scene is highly unstable, but their perseverance has to be rewarded as they have one of the highest Dota 2 populations. The formation of a South American Qualifier will probably put their regional pubstars on their toes, but the new need for consistency and strength hasn't made the region any less prone to shuffles. As in many other regions, the top teams have undergone massive changes, so Valve may look for brand power as well as player ability. The Peruvian brand Not Today has had some success, but the team underwent a full revamp since their last tournament. The players themselves have had varying degrees of success, though, with two players earning fourth at WESG as Infamous. Plus, with an influx of new members in the last few days, Valve may be keeping an eye on them. Speaking of Infamous, the squad was somewhat strong before the facelift, but now their future remains uncertain due to the changes. The team’s captain has remained on board, and so there’s a chance that he can lead his new members through whatever qualifiers they may need to accomplish. Other than these teams, very few are actually currently prepared to accept invites, and so it seems that only two will be directly invited to regional qualifiers. This means that there’ll be a massive fight for the open qualifiers spot, and new players or rusty vets can brush up and face more stable teams that have fought against more experienced squads. There’s hope that this will create a new burst of interest in the regional competitive scene—something the populous region needed.